There’s little doubt that Google is working on at least one new Pixel phone and if we were betting people we’d put good money on it being called the Pixel 3, but now there’s compelling evidence for the name, as it’s been spotted in Google’s own source code. Specifically, the sentence “This change added the config because the HAL V_1_2 only supports Pixel 3” was spotted by XDA Developers in a commit on the Android Open Source Project (AOSP) website. XDA explains that HAL means Hardware Abstraction Layer, which is a piece of software that bridges the gap between the Android operating system and hardware. It doesn’t tell us much about the phone, but XDA theorizes that this HAL will allow for a device (such as the Pixel 3) to scan continuously for networks, rather than having to tap to scan. Coming from official Google code there’s little doubt that the name Pixel 3 is at least being used by the company internally. That doesn’t mean that the phone will launch under that name, but it’s likely, and it more or less confirms – if there was any doubt – that the Pixel 3 is at least in the works. 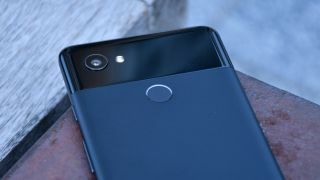 Little is known about the phone so far, but we have previously seen evidence that three Pixel 3 models could be in the works, and that Google might launch a more affordable version. We should hear more in the coming months, ahead of the likely October launch of the phones.